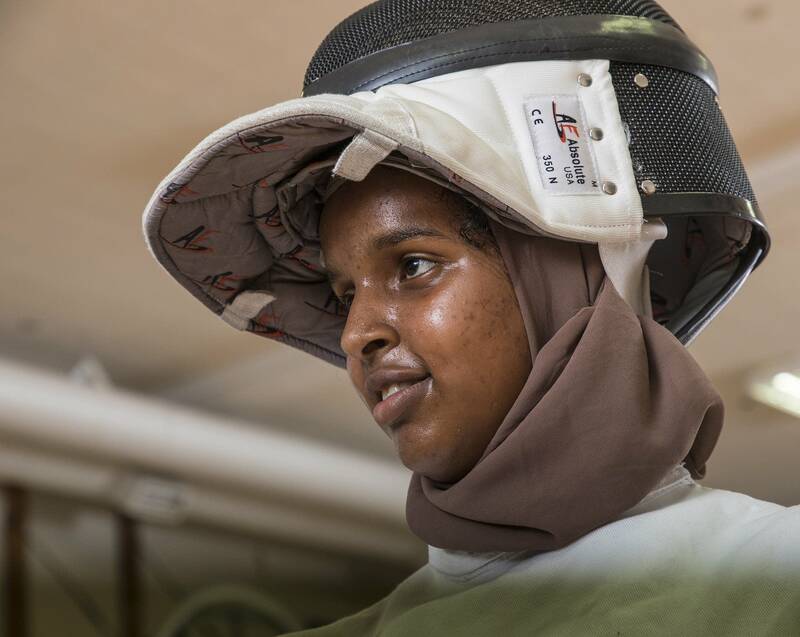 Updated: 10:31 a.m. | Posted: 10 a.m.
Just a couple of years ago, fencing wasn't on the radar of 15-year-old Ekhlas Abdullahi. But as she suits up in head-to-toe protective gear before practice with the rest of her team from the Rochester STEM Academy, she says the 2016 Olympics changed all that. Champion fencer Ibtihaj Muhammad became the first Muslim-American woman to win an Olympic medal. 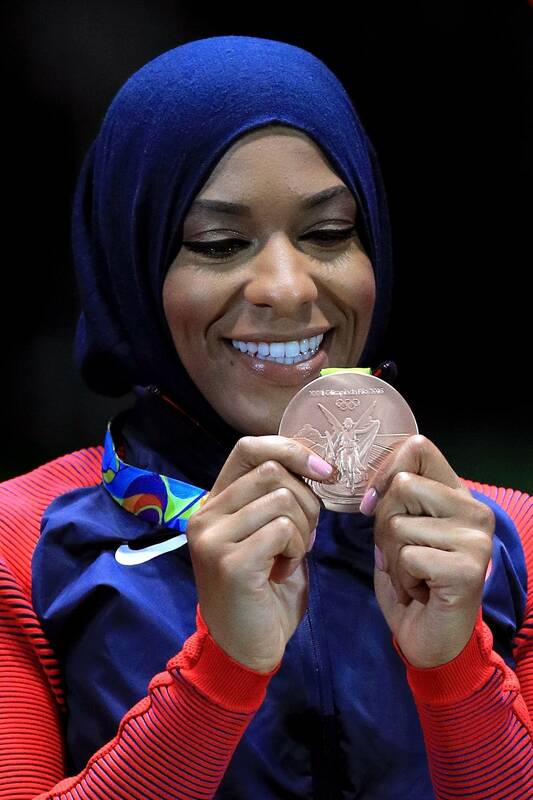 She won a bronze team medal wearing a hijab, the head scarf Abdullahi wears too. "Usually you don't see people who look like you," she said. "It's not a very diverse sport. And seeing someone who looks like me inspired me to try it." Abdullahi is a practicing Muslim whose religion requires her to stay covered in public. 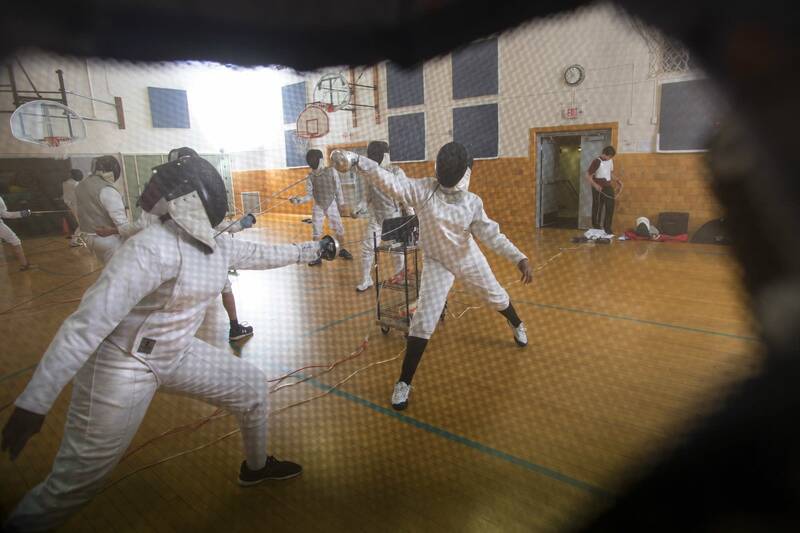 Fencing is one of the few sports that Abdullahi can participate in — because of the gear. The entire body is covered except for one hand. 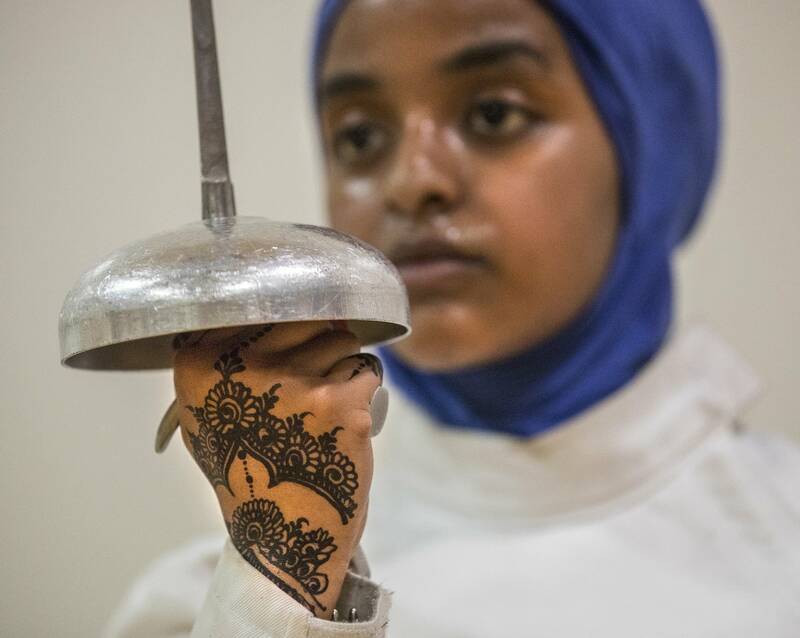 Teammate Amina Ahmed said she longed to compete in a sport before she found fencing. "The problem would be clothing if I was trying other sports," she said. That ruled out things like softball, soccer and field hockey. "I can't wear shorts, but I can wear tights." As it turns out, their athletic hero became a fencer for exactly the same reason. Back in 2016, Muhammad explained to TV host Stephen Colbert about the start of her fencing career. "Growing up I played a ton of different sports. As a Muslim kid who wore hijab, I would have to have long sleeves when my teammates wore short sleeves," she said. 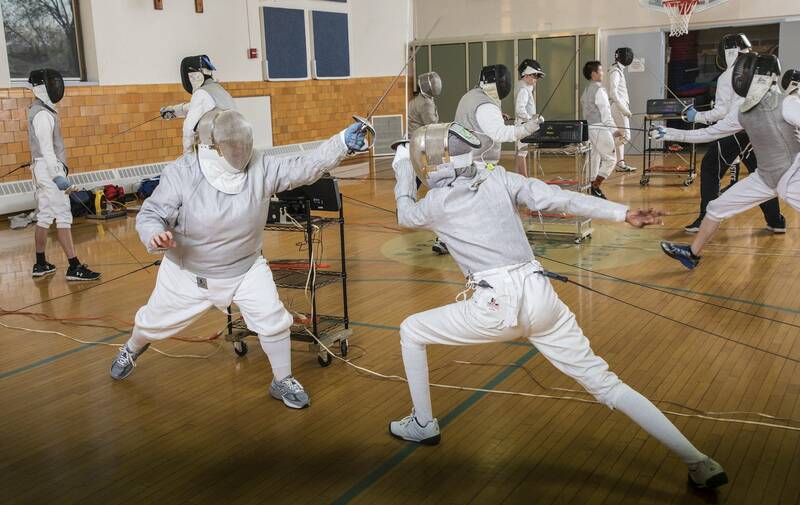 "Driving past the local high school, my mom saw fencing, didn't know what it was, but knew that because they were fully covered, she wanted me to try it when I got to high school." 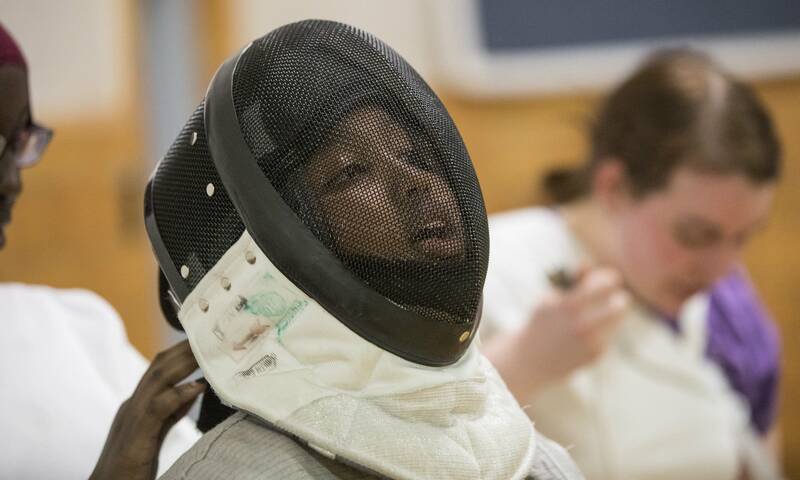 STEM Academy fencing coach Corlis Hicks said modesty was a big consideration when the school launched the nine-member girls fencing team a few years ago. The charter school's student body is predominantly Muslim, and most of the kids are Somali-American. "We were starting a boys soccer program, it came up that we needed a girls sport," she said. "Well, we need a sport that's culturally acceptable, and someone said 'fencing.'" Initially, Hicks had some difficulty recruiting students to the team. "Their families were like 'you want to do what?'" Hicks said. But Olympian Muhammad helped with that, too. Hicks kept a Time magazine article about the athlete on hand to help make her pitch. "It made a difference for the kids and for their families," she said. For 15-year-old Faisa Mohamed's parents, it wasn't modesty they were concerned about — it was the swords. "I was telling my mom on our way to school on the first day of practice, and she told me, 'You're not going to do that! You're going to die! You're going to get stabbed and you're going to die! I can't let my daughter die.'" After showing her parents the swords have rubber tips, she said she won full support. 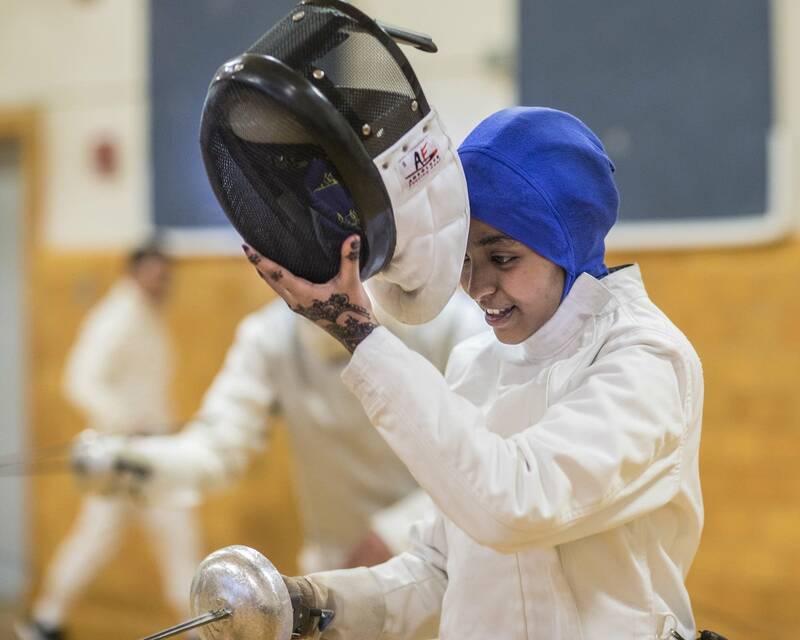 Mohamed said she likes the sport because of the rush she gets when her sword taps the vest of her competitor. That's called a "touch," or "touché" in French. It's a sentiment other girls on the team expressed — the powerful draw that keeps them committed to the sport through after-school practices and long trips to the Twin Cities on the weekends to compete. Mohamed likens the sport to chess. "It allows you to use your mind and your body as a chess piece. You think about what you're going to do next, and how you get the next touch," she said. "They're just super, super fun. They're just so fun to watch," said Brianna Smith, a high school fencing coach in the Twin Cities and vice president of Minnesota Division Fencing. She recently came to Rochester to coach the girls on their technique. Smith said she works with a lot of high schoolers who start fencing at a young age. Some have fencing fatigue by the time Smith gets to coach them. Not so for the STEM Academy team. "They're so excited about fencing, and it's still so new and fresh to them," she said. And the STEM Academy team is starting to get attention outside Rochester. Ahmed recently won a scholarship from USA Fencing, and her membership will allow her to compete in higher profile matches. 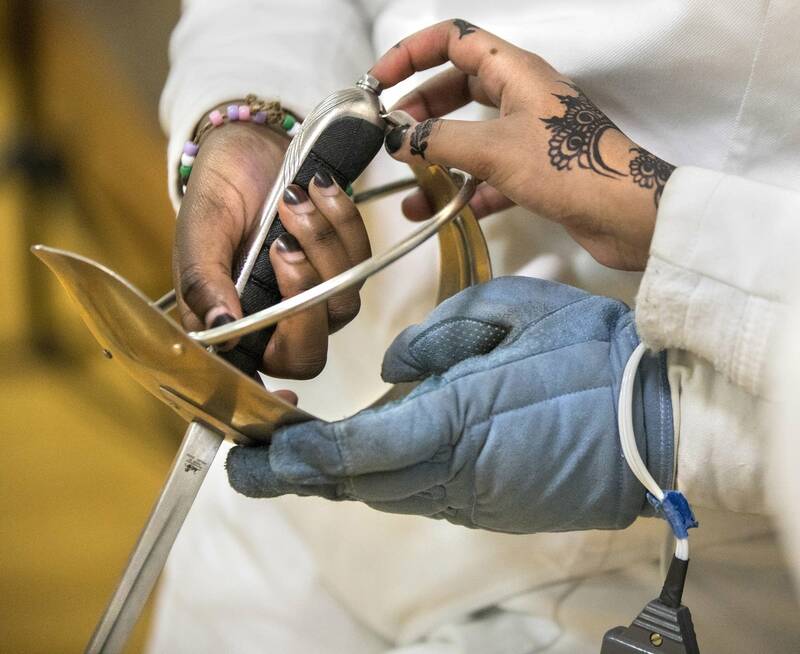 In a sport where participants are predominantly higher-income and white, Smith said she hopes the STEM Academy team is a good representation of where fencing is heading. "We try to foster diversity, and I think our teams often are diverse," Smith said. "But it's not the same as having a team that's made up of kids coming from the same community being able to support each other." 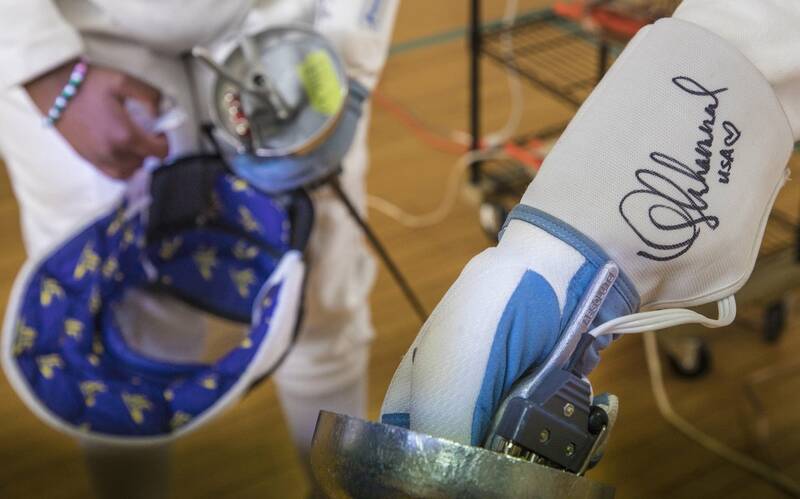 Correction (May 30, 2018): A caption in an earlier version of this story misidentified the autographs on the fencers' gloves.